Stem cells have two fundamental properties: self-renewal and multipotency. During development, stem cells and resulting progenitor cells are responsible for generating all the tissues and cells of an organism. In the adult, stem cells exist in many tissues throughout life and may play critical roles in physiological functions and tissue regeneration. The maintenance of their “stemness” state and commitment to differentiation are tightly controlled by both intrinsic genetic and epigenetic programs and extrinsic stimuli. Neural stem cells are the stem cells of the central nervous system and have the capacity to differentiate into different types of neurons and glia. In the postnatal and adult brains neural stem cells have significant roles in both normal brain functions, such as and learning, memory and the brain’s response to injuries. My laboratory investigates transcriptional and post-transcriptional mechanisms that regulate mammalian neural stem cells and neuronal development. We use mouse genetics, primary neural stem cells, and human patient-derived pluripotent stem cells as model systems in our research. 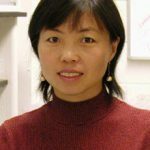 We employ a combination of genetic, genomic, proteomic, imaging, and behavioral methods to interrogate the roles of genes, epigenetic regulators, RNAs in neuronal development and their implications in human neurodevelopmental disorders, including Rett Syndrome, Autism, and Fragile X syndrome, etc.